Priests have gotten a pretty bad rap for the past couple of decades, and it’s hard to remember that they’re men who have pledged their lives to serve God and protecting people. It’s so hard to remember that sometimes the priests themselves forget whether they’re the bad guys or the good guys. That’s the case in Gray Dawn, a supernatural thriller in which a devoted priest must investigate the disappearance of a number of young boys in his care. From the get-go, we have ‘unreliable narrator’ all over the place. The opening monologue accuses our protagonist of being an ally of Satan, but when we enter his shoes we discover a mild-mannered priest who seems devout and honest. As the story unfolds, father Abraham explores a series of increasingly bizarre locations to uncover the truth about what happens. The beauty, I think, of Gray Dawn is the constant sense that we’re not getting the full narrative. Something is being left out, be it from Abraham or his surroundings. Thus we investigate to try and get to the bottom of what’s happening. The game is a first-person adventure title which plays a lot like a walking simulator, complete with physics-based controls a la Amnesia. If you haven’t played Amnesia, the idea is that some actions in the game require you to move your mouse in a way that mimics a hand movement. For example, to open a drawer you hold LMB to clutch and slowly slide your mouse backward to open it. The game’s puzzles are pretty open-and-shut affairs, and in one level a voice instructs you to ‘leave no stone unturned’. This is, in a nutshell, how you progress in the game. Interact with as many objects in every level as possible, and you get more information and move the story along. In many ways, it feels like a walking simulator, but the fact that you need to go around checking everything does give it the vibe of an adventure game. In the entire game there were maybe two times where I felt a legit puzzle coming up though, so if you’re looking for brain bogglers, this might not be the best fit. Most of the game’s energy is spent on exploring the psyche of father Abraham and trying to work out what really happened. While it has elements of horror, the game is surprisingly PG-13 throughout, with very few graphic scenes. Another major theme throughout is religion; the idea of heaven and hell pops up frequently (feels like they could have licensed the classic Black Sabbath track). The game’s environments are beautifully rendered, and it does that classic walking simulator move where you leave a room and all of a sudden you’re in a forest or a valley or something. A lot of the time your environments are very connected to spirituality. The game may seem like a cheap horror flick with Christian themes a la Stigmata, but it actually manages a deep dive into Christian theology and what it means. Our protagonist father Abraham struggles with his faith in a very real way, and his journey feels very human. Ultimately, he must come to terms with his own duality. Speaking of duality, the game steps it up a notch when later in the game you receive the mechanical heart, a device that lets you switch between dimensions. This was perhaps my favorite puzzle mechanic, as it encourages you to look at environments from different perspectives to see what you missed. Gray Dawn feels very indie at times, especially when considering its voice acting, but its writing is leaps and bounds ahead of many AAA projects I’ve seen. It takes on a fairly sensitive subject matter but treats it with actual seriousness and it tries to make some real statements about sin and sacrifice. It has flaws that show when you peel away the paint, but it’s one of the more memorable games I’ve played. Gray Dawn was reviewed using a PC digital download code provided by Interactive Stone. The game was tested on a PC running Windows 10, with an 8GB NVIDIA Geforce GTX 1070 fitted on a 4th Generation Intel i7 4790 3.6Ghz CPU and topped with 16GB of RAM. We don’t discuss review scores with publishers or developers prior to the review being published (click here for more information about our review policy). 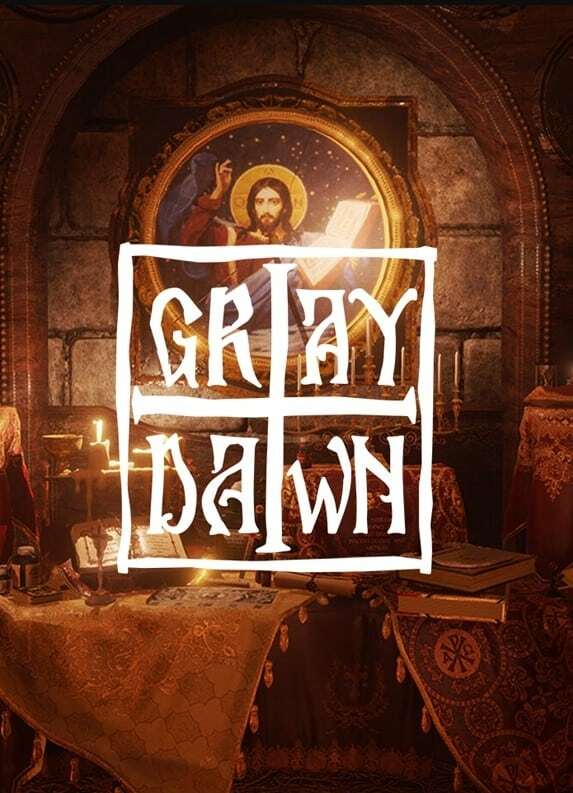 Gray Dawn takes on the familiar territory of religion and the supernatural, but it does so with a surprising amount of maturity and dedication. The story will have you scratching your head, but its multiple endings each offer some emotional payoff.